Kick off your visit on the 20th (Fri): get some thrills out on the water with a waterskiing or jet-skiing adventure. On the 21st (Sat), you'll have a packed day of sightseeing: learn about all things military at U.S. Coast Guard Cutter Ingham Maritime Museum, then enjoy the sea views from Key West Lighthouse and Keeper's Quarters Museum, and then see majestic marine mammals with a dolphin and whale watching tour. To find photos, ratings, maps, and other tourist information, read our Key West route planning app . Washington DC to Key West is an approximately 5-hour flight. You can also do a combination of train and flight; or drive. Prepare for much hotter weather when traveling from Washington DC in December: high temperatures in Key West hover around 79°F and lows are around 71°F. Wrap up your sightseeing on the 21st (Sat) early enough to take a bus to Marathon. On the 22nd (Sun), identify plant and animal life at The Turtle Hospital and then enjoy the sand and surf at Bahia Honda State Park. 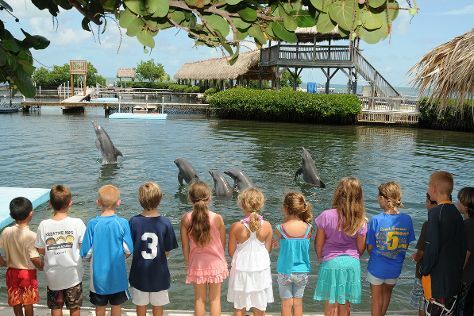 On your second day here, look for all kinds of wild species at Dolphin Research Center, look for all kinds of wild species at Crane Point Museum & Nature Center, and then enjoy the sand and surf at Sombrero Beach. To see other places to visit, photos, and tourist information, you can read our Marathon route maker website . Getting from Key West to Marathon by bus takes about 1.5 hours. Other options: drive. In December, plan for daily highs up to 80°F, and evening lows to 71°F. Finish your sightseeing early on the 23rd (Mon) so you can drive to Islamorada. Kick off your visit on the 24th (Tue): take in the exciting artwork at Old Road Gallery, identify plant and animal life at Florida Keys Wild Bird Rehabilitation Center, then get interesting insight from Tours, and finally indulge your thirst for a good beer at Islamorada Beer Company Brewery and Tasting Room. On your second day here, glide through the air with a parasailing or paragliding tour, then discover the deep blue sea with a scuba or snorkeling tour, and then view the masterpieces at Michelle Nicole Lowe Art Gallery. Plan a trip to Islamorada easily and quickly by telling Inspirock to suggest an itinerary. Drive from Marathon to Islamorada in an hour. Alternatively, you can take a bus. Expect a daytime high around 80°F in December, and nighttime lows around 71°F. Wrap up your sightseeing on the 25th (Wed) to allow time to drive to Homestead. Homestead is a city within Miami-Dade County in the U.S. On the 26th (Thu), identify plant and animal life at Everglades Alligator Farm and then stroll through Anhinga Trail. For reviews, photos, more things to do, and more tourist information, read Homestead online trip itinerary planner . You can drive from Islamorada to Homestead in 1.5 hours. Alternatively, you can take a bus. Traveling from Islamorada in December, plan for a bit cooler nights in Homestead, with lows around 66°F. Wrap up your sightseeing on the 26th (Thu) to allow time to drive to Miami. On the 27th (Fri), see the interesting displays at Vizcaya Museum and Gardens, race across the water with a speed boat tour, and then wander the streets of Art Deco Historic District. To see other places to visit, where to stay, and other tourist information, go to the Miami travel app . You can drive from Homestead to Miami in an hour. Another option is to do a combination of bus and train. Expect a daytime high around 81°F in December, and nighttime lows around 68°F. Finish your sightseeing early on the 27th (Fri) so you can drive to Fort Myers. Fort Myers is the county seat and commercial center of Lee County, Florida, United States. 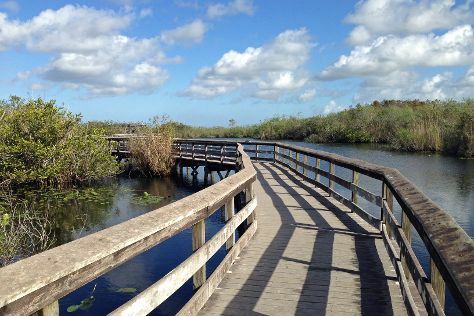 On the 28th (Sat), identify plant and animal life at Six Mile Cypress Slough Preserve and then take in nature's colorful creations at Edison & Ford Winter Estates. To see traveler tips, maps, where to stay, and tourist information, refer to the Fort Myers road trip planner. Getting from Miami to Fort Myers by car takes about 3 hours. Other options: take a bus. Plan for little chillier nights when traveling from Miami in December since evenings lows in Fort Myers dip to 62°F. 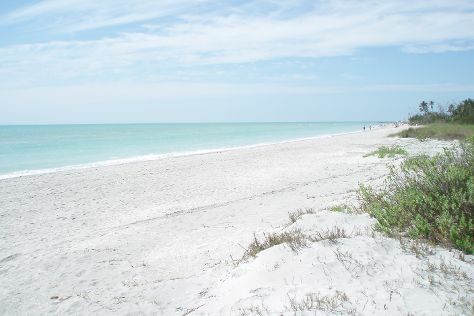 Finish your sightseeing early on the 28th (Sat) so you can drive to Sanibel Island. On the 29th (Sun), kick back and relax at Captiva Beach, enjoy the sand and surf at Bowman's Beach, and then look for all kinds of wild species at Pond Apple Park. To see other places to visit, more things to do, photos, and more tourist information, go to the Sanibel Island trip itinerary planner . Drive from Fort Myers to Sanibel Island in an hour. Alternatively, you can do a combination of bus and taxi. In December, plan for daily highs up to 80°F, and evening lows to 62°F. Wrap up your sightseeing on the 29th (Sun) early enough to travel back home. SAINT AUGUSTINE | PONTE VEDRA on Florida's Historic Coast The Nation's oldest city (est. On the 30th (Mon), steep yourself in history at Colonial Quarter, steep yourself in history at Mission of Nombre de Dios, and then enjoy the sand and surf at Vilano Beach. Here are some ideas for day two: immerse yourself in nature at Washington Oaks Gardens State Park, then take a tour by water with Boat Tours & Water Sports, and then take in the architecture and atmosphere at Memorial Presbyterian Church. For traveler tips, maps, other places to visit, and other tourist information, you can read our St. Augustine online day trip planner . Traveling by car from Sanibel Island to St. Augustine takes 6 hours. Alternatively, you can do a combination of taxi, bus, flight, and car; or do a combination of taxi, flight, train, and bus. Expect little chillier temperatures when traveling from Sanibel Island in December; daily highs in St. Augustine reach 70°F and lows reach 55°F. Wrap up your sightseeing by early afternoon on the 1st (Wed) to allow time for travel back home.